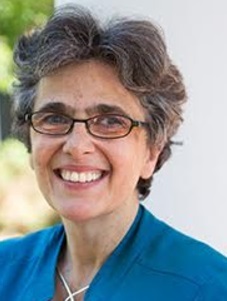 Mary C. Gentile, PhD, is Creator/Director of Giving Voice to Values, Professor of Practice at University of Virginia Darden School of Business, Senior Advisor at Aspen Institute Business & Society Program, and consultant on management education and leadership development. Gentile was named as one of “Top Minds 2017” by ComplianceWeek; one of 2015 “100 Most Influential in Business Ethics” by Ethisphere; and one of “Top Thought Leaders in Trust: 2015 Lifetime Achievement Award Winners” by Trust Across America-Trust Around the World. Giving Voice to Values, a pioneering business curriculum for values-driven leadership, has been featured in Financial Times, Harvard Business Review, Stanford Social Innovation Review, McKinsey Quarterly, etc. and piloted in over 980 business schools and organizations globally. The award winning book is Giving Voice To Values: How To Speak Your Mind When You Know What's Right with translations in Chinese, Korean and forthcoming in Thai. 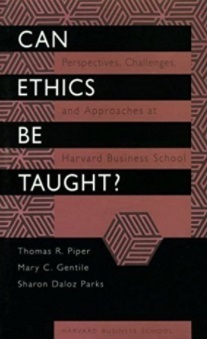 From 1985--95, Gentile was faculty member and manager of case research at Harvard Business School and a principal architect of HBS’s Leadership, Ethics and Corporate Responsibility curriculum. She co-authored Can Ethics Be Taught? 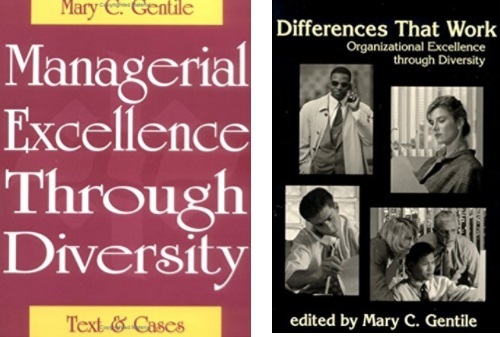 Perspectives, Challenges, and Approaches at Harvard Business School and was Content Expert for the award-winning interactive CD-ROM, Managing Across Differences (HBS Publishing). Gentile earned her Bachelor’s degree from The College of William and Mary and her MA and PhD from State University of New York-Buffalo. A sort of “relentless optimism” which helps me not to give up when goals seem distant. A tendency to toggle back and forth between “big picture” and the details when approaching a task, so as to find better ways to pursue the ultimate goal while making use of and/or addressing immediate opportunities and barriers. A tendency to approach issues from a pragmatically idealistic vantage…or an idealistically pragmatic one? Giving Voice to Values is an innovative approach to values-driven leadership development in business education and the workplace. GVV is based at University of Virginia-Darden School of Business, having been launched by Aspen Institute as Incubator & Founding Partner, with Yale School of Management; then supported at Babson College 2009-16. Drawing on actual experience and scholarship, GVV fills a long-standing critical gap in the development of values-centered leaders. My goal is to change the way we teach and talk and think about ethics and values. GVV is not about persuading people to be more ethical. Rather GVV starts from the premise that most of us already want to act on our values, but that we also want to feel that we have a reasonable chance of doing so effectively and successfully. This pedagogy and curriculum are about raising those odds. I hope to help people – including myself – to act ethically more often, more consistently and in particular, more effectively. On a personal front, my long term relationship with my spouse and on a professional front, the development and sharing of Giving Voice To Values. Well, it was not just a “moment” but I went through an extended period in my life when I was actively searching for the initiative/the project/the goal that I felt I was meant to pursue. I finally found it with GVV. just moved to a new Home in Newburyport and I love the view of the Meadow outside our windows and gazing at the River at all times of day. Since I travel so much and meet so many new people every week, I enjoy time and solitude to refresh.